Open science interview at re:publica conference in Berlin, 2013, by Kaja Scheliga. Kaja Scheliga: So to start off...what is your field, what do you do? 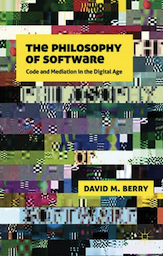 David M. Berry: My field is broadly conceived as digital humanities or software studies. 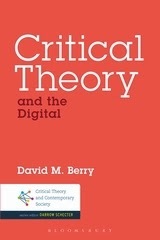 I focus in particular on critical approaches to understanding technology, through theoretical and philosophical work, so, for example, I have written a book called Philosophy of Software and I have a new book called Critical Theory and The Digital but I am also interested in the multiplicity of practices within computational culture as well, and the way the digital plays out in a political economic context. KS: Today, here at the re:publica you talked about digital humanities. What do you associate with the term open science? DB: Well, open science has very large resonances with Isaiah Berlin’s notion of the open society, and I think the notion of open itself is interesting in that kind of construction, because it implies a "good". 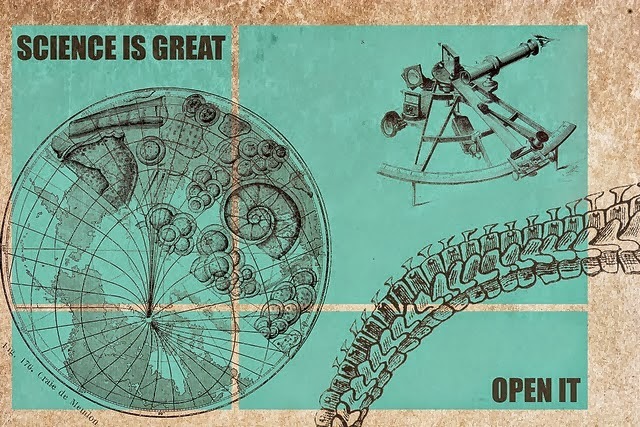 To talk about open science implies firstly that closed science is "bad", that science should be somehow widely available, that everything is published and there is essentially a public involvement in science. It has a lot of resonances, not necessarily clear. It is a cloudy concept. KS: So where do you see the boundary between open science and digital humanities? Do they overlap or are they two separate fields? Is one part of the other? DB: Yes, I think, as I was talking in the previous talk about how digital humanities should be understood within a constellation, I think open science should also be understood in that way. There is no single concept as such, and we can bring up a lot of different definitions, and practitioners would use it in multiple ways depending on their fields. 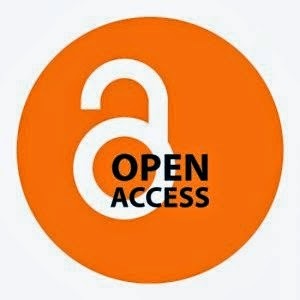 But I think, there is a kind of commitment towards open access, the notion of some kind of responsibility to a public, the idea that you can have access to data and to methodologies, and that it is published in a format that other people have access to, and also there is a certain democratic value that is implicit in all of these constructions of the open: open society, open access, open science, etc. And that is really linked to a notion of a kind of liberalism that the public has a right, and indeed has a need to understand. And to understand in order to be the kind of citizen that can make decisions themselves about science. So in many ways it is a legitimate discourse, it is a linked and legitimating discourse about science itself, and it is a way of presenting science as having a value to society. KS: But is that justified, do you agree with this concept? Or do you rather look at it critically? DB: Yes, well, from the conference perspective, because re:publica is a technology conference, there is this whole discourse of progress – which is kind of an American techno-utopian vision that is really odd in a European context – for me anyway. So, being a critical theorist, it does not necessarily mean that I want to dismiss the concept, but I think it is interesting to unpick the concept and see how it plays out in various ways. In some ways it can be very good, it can be very productive, it can be very democratic, in other ways it can be used for example as a certain legitimating tool to get funding for certain kinds of projects, which means other projects, which are labelled "closed", are no longer able to get funded. So, it is a complex concept, it is necessarily "good" or "bad". KS: So, not saying ‘good’ or ‘bad’, but looking at the dark side of say openness, where do you see the limits? Or where do you see problem zones? DB: Well, again, to talk about the "dark side," it is kind of like Star Wars or something. 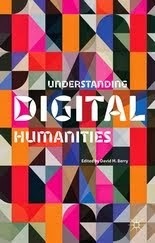 We have to be very careful with that framework, because the moment you start talking about the dark side of the digital, which is a current, big discussion going on, for example, in the dark side of the digital humanities, I think it is a bit problematic. That is why thinking in terms of critique is a much better way to move forward. So for me, what would be more interesting would be to look at the actual practices of how open science is used and deployed. Which practitioners are using it? Which groups align themselves with it? Which policy documents? And which government policies are justified by rolling back to open science itself? And then, it is important to perform a kind of genealogy of the concept of "open science" itself. Where does it come from? What is it borrowing from? Where is the discussion over that term? Why did we come to this term being utilised in this way? And I think that then shows us the force of a particular term, and places it within an historical context. Because open science ten years ago may have meant one thing, but open science today might mean something different. So, it is very important we ask these questions. KS: All right. And are there any open science projects that come to mind, spontaneously, right now? DB: I'm not sure they would brand themselves as "open science" but I think CERN would be for me a massive open science project, and which likes to promote itself in these kinds of ways. So, the idea of a public good, publishing their data, having a lot of cool things on their website the public can look at, but ultimately, that justification for open science is disconnected because, well, what is the point of finding the Higgs Boson, what is the actual point, where will it go, what will it do? And that question never gets asked because it is open science, so the good of open science makes it hard for us to ask these other kinds of questions. So, those are the kinds of issues that I think are really important. And it is also interesting in terms of, for example, there was an American version of CERN which was cancelled. So why was CERN built, how did open science enable that? I mean, we are talking huge amounts of money, large amounts of effort, would this money have been better transferred to solving the problem of unemployment, you know, we are in a fiscal crisis at the moment, a financial catastrophe and these kinds of questions get lost because open science itself gets divorced from its political economic context. KS: Yes. But interesting that you say that within open science certain questions are maybe not that welcome, so actually, it seems to be at certain places still pretty closed, right? 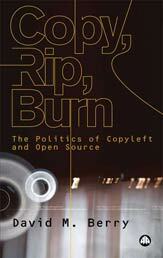 DB: Well, that is right, open itself is a way of closing down other kinds of debates. 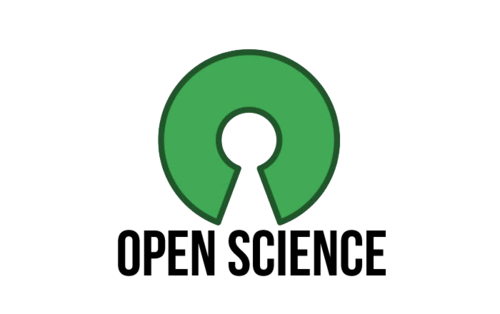 So, for example, in the programming world open source was promoted in order not to have a discussion about free software, because free software was just too politicised for many people. So using the term open, it was a nice woolly term that meant everything to a lot of different people, did not feel political and therefore could be promoted to certain actors, many governments, but also corporations. And people sign up to open source because it just sounds – "open source, yes, who is not for open source?" I think if you were to ask anyone here you would struggle to find anybody against open source. But if you ask them if they are for free software a lot of people would not know what it is. That concept has been pushed away. I think the same thing happens in science by these kinds of legitimating discourses. Certain kinds of critical approaches get closed down. I think you would not be welcomed if at the CERN press conference for the Higgs boson you would put up your hand and ask: "well actually, would it not have been better spending this money on solving poverty?" That would immediately not be welcomed as a legitimate line of questioning. KS: Yes, right. Okay, so do you think science is already open, or do we need my openness? And if so, where? DB: Well, again, that is a strange question that assumes that I know what "open" is. I mean openness is a concept that changes over time. I think that the project of science clearly benefits from its ability to be critiqued and checked, and I do not necessarily just want to have a Popperian notion of science here – it is not just about falsification – but I think verification and the ability to check numbers is hugely important to the progress of science. So that dimension is a traditional value of science, and very important that it does not get lost. Whether or not rebranding it as open science helps us is not so straightforward. I am not sure that this concept does much for us, really. Surely it is just science? And approaches that are defined as "closed" are perhaps being defined as non-science. KS: What has the internet changed about science and working in research? KS: - as in science, as in academia. Or, what has the internet changed in research? DB: Well, this is an interesting question. Without being too philosophical about it I hope, Heidegger was talking about the fact that science was not science anymore, and actually technology had massively altered what science was. Because science now is about using mechanisms, tools, digital devices, and computers, in order to undertake the kinds of science that is possible. So it becomes this entirely technologically driven activity. Also, today science has become much more firmly located within economic discourse, so science needs to be justified in terms of economic output, for example. It is not just the internet and the digital that have introduced this, there are larger structural conditions that I think that are part of this. So, what has the Internet or the web changed about science? One thing is allowing certain kinds of scientism to be performed in public. And so you see this playing out in particular ways, certain movements – really strange movements – have emerged that are pro-science and they just seek to attack people they see as anti-science. So, for example, the polemical atheist movement led by Richard Dawkins argues that that it is pro-science and anyone who is against it is literally against science – they are anti-science. This is a very strange way of conceptualising science. And some scientists I think are very uncomfortable with the way Dawkins is using rhetoric, not science, to actually enforce and justify his arguments. And another example is the "skeptics" movement, another very "pro-science" movement that has very fixed ideas about what science is. So science becomes a very strong, almost political philosophy, a scientism. I am interested in exploring how digital technologies facilitate a technocratic way of thinking: a certain kind of instrumental rationality, as it were. KS: How open is your research, how open is your work? Do you share your work in progress with your colleagues? DB: Well, as an academic, sharing knowledge is a natural way of working – we are very collaborative, go to conferences, present new work all the time, and publish in a variety of different venues. In any case, your ability to be promoted as an academic, to become a professor, is based on publishing, which means putting work out there in the public sphere which is then assessed by your colleagues. So the very principles of academia are about publishing, peer review, and so on and so forth. So, we just have to be a bit careful about the framing of the question in terms of: "how 'open' is your work? ", because I am not sure how useful that question is inasmuch as it is too embedded within certain kinds of rhetorics that I am a little bit uncomfortable with. So the academic pursuit is very much about sharing knowledge – but also knowledge being shared. KS: Okay. I was referring to, of course, when you do work and when you have completed your research you want to share it with others because that is the point of doing the research in the first place, to find something out and then to tell the world look this is what I found out, right? KS: I mean, of course in a simplified way. DB: Well, disciplines are not there to "tell the world". Disciplines are there to do research and to create research cultures. What is the point of telling the world? The world is not necessarily very interested. And so you have multiple publics – which is one way of thinking about it. So one of my publics, if you like, is my discipline, and cognate disciplines, and then broader publics like re:publica and then maybe the general public. And there are different ways of engaging with those different audiences. If I was a theoretical physicist for example, and I publish in complex mathematical formulae, I can put that on the web but you are not really going to get an engagement from a public as such. That will need to be translated. And therefore maybe you might write a newspaper article which translates that research for a different public. So, I think it is not about just throwing stuff on the web or what have you. I think that would be overly simplistic. It is also about translation. So do I translate my research? Well I am doing it now. I do it all the time. So, I talk to Ph.D. students and graduates, that is part of the dissemination of information, which is, I think really what you are getting at. How do you disseminate knowledge? KS: Exactly. And knowledge referring not only to knowledge that is kind of settled and finished, you know, I have come to this conclusion, this is what I am sharing, but also knowledge that is in the making, in the process, that was what I was referring to. DB: Sure, yes. I mean, good academics do this all the time. And I am talking particularly about academia here. I think good academics do research and then they are teaching and of course these two things overlap in very interesting ways. So if you are very lucky to have a good scholar as a professor you are going to benefit from seeing knowledge in the making. So that is a more general question about academic knowledge and education. But the question of knowledges for publics, I think that is a different question and it is very, very complex and you need to pin down what it is you want to happen there. In Britain we have this notion of the public engagement of science and that is about translation. Let’s say you do a big research project that is very esoteric or difficult to understand, and then you write a popular version of it – Stephen Hawking is a good example of this – he writes books that people can read and this has major effects beyond science and academia itself. I think this is hugely important, both in terms of understanding how science is translated, but also how popular versions of science may not themselves be science per se. KS: So, what online tools do use for your research? DB: What online tools? I do not use many online tools as such. I mean I am in many ways quite a traditional scholar, I rely on books – I will just show you my notes. I take notes in a paper journal and I write with a fountain pen which I think is a very traditional way of working. 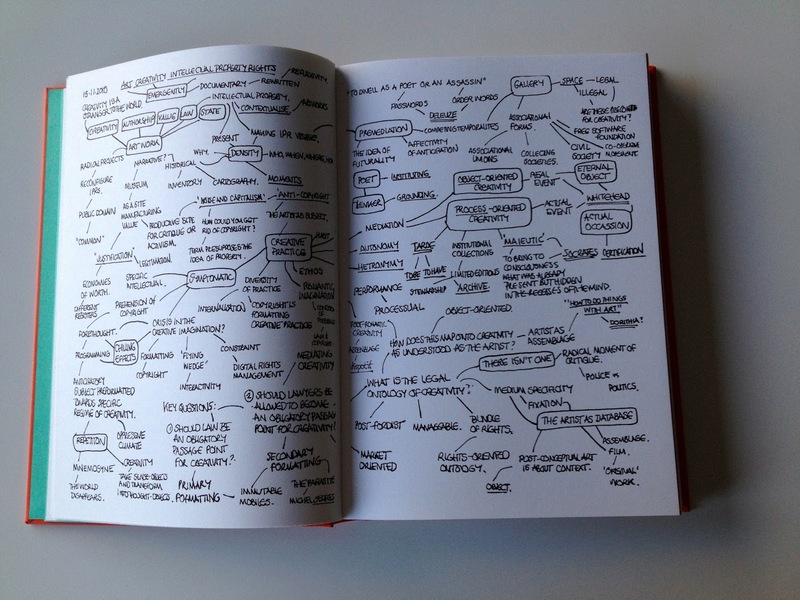 The point is that my "tools" are non-digital, I hardly ever digitise my notes and I think it is interesting to go through the medium of paper to think about the digital, because digital tools seem to offer us solutions and we are very caught up in the idea that the digital provides answers. I think we have to pause a little bit, and paper forces you to slow down – that is why I like it. It is this slowing down that I think is really important when undertaking research, giving time to think by virtue of making knowledge embodied. Obviously, when it comes to collecting data and following debates I will use digital tools. Google of course is one of the most important, Google scholar and social media are really interesting tools, Gephi is very interesting social network analysis tool. I use Word and Excel as does pretty much everybody else. So the important issue is choosing which digital tools to use in which contexts. One thing I do much less of is, for example, the kind of programming were people write APIs and scrapers and all this kind of approaches, I have been involved in some projects doing that but I just do not have time to construct those tools, so I sometimes other people’s software (such as digital methods tools). KS: Okay, and how about organising ideas, do you do that on paper? Or for example do you use a tool for task managing? DB: Always paper. If you have a look in my journal you can see that I can choose any page and there is an organisation of ideas going on here. For me it is a richer way to work through ideas and concepts Eventually, you do have to move to another medium – you know I do not type my books on typewriters! 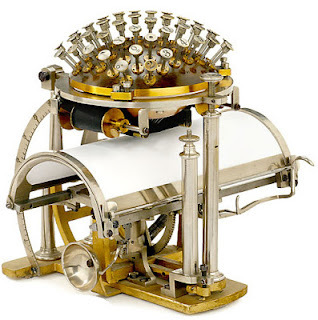 – I use a word processor, for example. So eventually I do work on a computer, but by that point I think the structure is pretty much in my head but mediated through paper and ink – the computer is therefore an inscription device at the end of thinking. I dwell on paper, as it were, and then move over into a digital medium. You know, I do not use any concept mapping softwares, I just find them too clumsy and too annoying actually. KS: Okay, so what puts you off not using / not being tempted by using all those tools that offer you help and offer to make you more productive? DB: Well, because firstly, I do not want to be more productive, and secondly I do not think they help. So the first thing I tell my new students, including new Ph.D. students, is: buy a note book and a pen and start taking notes. Do not think that the computer is your tool, or your servant. The computer will be your hindrance, particularly in the early stages of a Ph.D. It is much more important to carefully review and think through things. And that is actually the hardest thing to do, especially in this world of tweets and messages and emails – distractions are everywhere. There are no tweets in my book, thankfully, and it is the slowness and leisureliness that enables me to create a space for thinking. It is a good way of training your mind to pause and think before responding. KS: So, you are saying that online tools kind of distract us from thinking and actually we think that we are doing a lot of stuff but actually we are not doing that much, right? DB: Well, the classic problem is students that, for example, think they are doing an entirely new research project and map it all out in a digital tool that allows you to do fancy graphs, etc. – but they are not asking any kind of interesting research questions because they have not actually looked at the literature and they do not know the history of their subject. So it is very important that we do this, indeed some theorists have made the argument that we are forgetting our histories. And I think this is very true. The temptation to be in the future, to catch the latest wave or the latest trend affects Ph.D. students and academics as much as everybody else. And there are great dangers from chasing those kinds of solutions. Academia used to be about taking your time and being slow and considering things. And I think in the digital age academia’s value is that it can continue to do that, at least I hope so. KS: Okay, but is there not a danger that if you say: okay, I am taking my time, I am taking my paper and my pen while others are hacking away, being busy using all those online tools, and in a way you could say okay that speeds up some part of research, at least when you draw out the cumulative essence of it, can you afford to invest the time? DB: Well, it is not either or. It is both. The trouble is, I find anyway, with Ph.D. students, their rush to use the digital tools is to prevent them from having to use the paper. And, a classic example of this is Endnote. Everybody rushes to use Endnote because they do not like doing bibliographies. But actually, doing the bibliography by hand is one of the best things you can do because you learn your field’s knowledge, and you immediately recognise names because you are the one typing them in. Again this is a question of embodiment. When you leave that to a computer program to do it for you, laziness emerges – and you just pick and choose names to scatter over your paper. So, I am not saying you should not use such tools, I am saying that you should maybe do both. I mean, I never use these tools to construct bibliographies, I do them by hand because it encourages me to think through, what about this person are they really contributing, what do they add? And I think that is really important. KS: Although, it probably should be more about, okay what do I remember this persons writing, and what have they contributed and not so much about whose name sounds fancy and which names do I need to drop here. DB: Totally. Well, there has been some interesting work on this. Researchers have undertaken bibliometric analysis to show how references are used in certain disciplines and how common citations crop up again and again because they were used in previous papers and researchers feel the need to mention them again – so it becomes a name-checking exercise. Interestingly, few people go back and read these original canonical papers. So it is really important to read early work in a field, and place it within an historical context and trajectory, if one is to make sense of the present. KS: A last question, I want to ask you about collaborative writing, do you write with other people and if so, how does that work? Where do you see advantages and where do you see possible trouble? KS: …in spite of all the collaboration, right? DB: Indeed, yes of course, I mean that is just the academic way, but I think you need that, because writing a book requires you to sit in a room for months and months and months and the sun is shining, everyone else having fun and you are sitting there in a gloomy room typing away, so you need that kind of self-drive and belief, and that, of course, causes frictions between people. So I have tried various different methods of working with people, but one method I found particularly interesting is a method called booksprinting. It is essentially a time-boxed process where you come together with, let us say, four or five other scholars, you are locked in a room for the week (figuratively speaking! ), except to sleep and you eat together, write together, concept map and develop a book, collaboratively. And then the book that is produced is jointly authored, there is no arguments over that, if you do not agree you can leave, but the point is that the collaborative output is understood and bought into by all the participants. Now, to many academics this sounds like absolute horror, and indeed when I was first asked if I would like to be involved I was sceptical – I went along but I was sure this was going to be a complete failure. However it was one of the most interesting collaborative writing processes I have been involved in. I have taken part in two book sprints to date (three including 2014). You are welcome to have a look at the first book, it is called New Aesthetic New Anxieties. It is amazing how productive those kinds of collaborative writing processes can be. But it has to be a managed process. So, do check out booksprinting, it is very interesting – see also Imaginary museums, Computationality & the New Aesthetic and On Book Sprints. KS: Okay, but then for that to work what do you actually / from your experience, can you draw out factors that make it work? DB: Sure. The most important factor is having a facilitator, so someone who does not write. And the facilitators role is to make sure that everybody else does write. And that is an amazing ability, a key person, because they have to manage difficult people and situations – it is like herding cats. Academics do not like to be pushed, for example. And the facilitator I have worked with, he is very skilled at this kind of facilitation. The second thing is the kinds of writing that you do and how you do it. The booksprinting process I have been involved in has been very paper-based, so again there is a lot of paper everywhere, there are post-it notes, there is a lot of sharing of knowledge, and this is probably the bit you are going to find interesting: There is, nonetheless, a digital tool which enables you to write collaboratively. It is a cleverly written tool, it has none of the bells and whistles, it is very utilitarian and really focuses the writing process and working together. And, having seen this used out on two different booksprints, I can affirm that it does indeed help the writing process. I recommend you have a look. KS: So, what is the tool? DB: It is called Booktype. 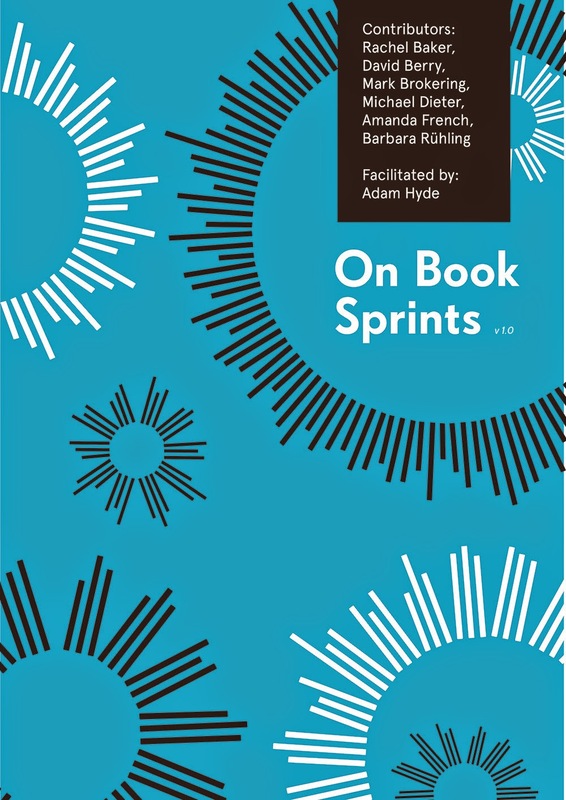 And Adam Hyde is the facilitator who developed the process of Book Sprints, and is also one of the developers of the software. KS: Okay, interesting. Any questions? Or any question I did not ask you, anything you want to add that we have missed out, any final thoughts? Any questions for me? DB: Yes, I do think that a genealogy of "open science" is important and your questions are really interesting because they are informed by certain assumptions about what open science is. In other words, there is a certain position you are taking which you do not make explicit, and which I find interesting. So it might be useful to reflect on how "open science" needs to critically unpacked further. KS: Okay, great, thank you very much. Interview archived at Zenodo. Transcript corrected from the original to remove errors and clarify terms and sentences.